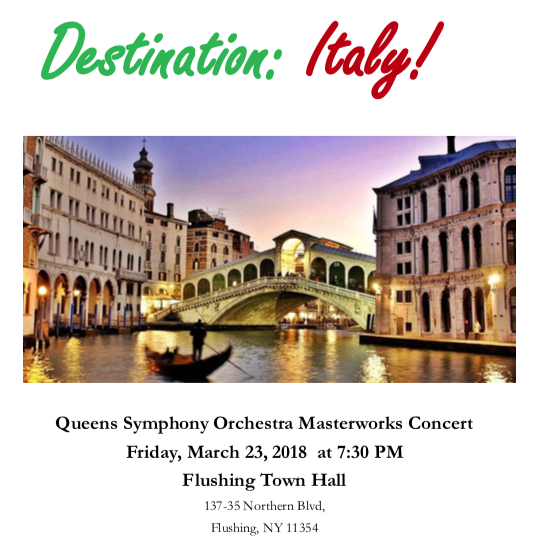 The Queens Symphony Orchestra presents the second in its series of Masterworks Concerts titled “Destination Italy” conducted by the company’s Music Director Martin Majkut on Friday evening, March 23, 2018 at 7:30 PM at Flushing Town Hall. Repertoire includes Schubert’s Overture in the Italian Style, Stravinsky’s Pulcinella and Vivaldi’s The Four Seasons featuring violinist Kinga Augustyn. Tickets are free to the public. Reservations are Recommended. Seating will be on a first-come-first-served basis. 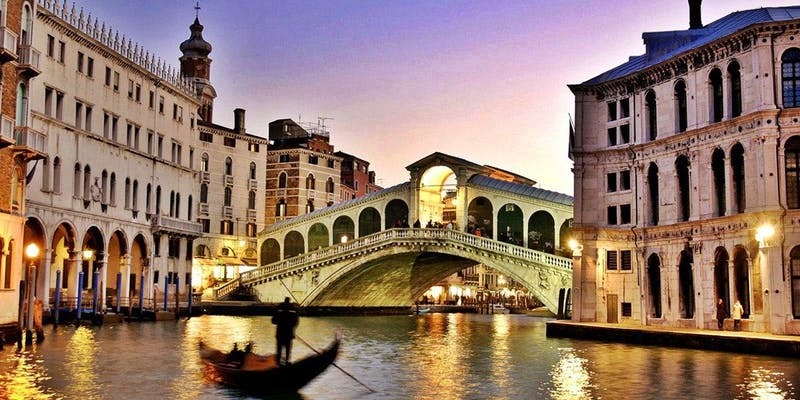 For centuries, Italy was the musicians’ Mecca. Italians brought the art of polyphonic singing to its highest peak and discovered the power of melody for the world”. Franz Schubert, known as one of music’s greatest melodists, had never been to Italy but he felt the bond with his spiritual ancestors on the other side of the Alps. Overture in Italian Style is his homage to the style of music that is mighty in its simplicity. Stravinsky’s Pulcinella, composed in the “neo-classical style” and features one of the characters from Italian commedia dell’arte. Stravinsky took early 18th century tunes and modernized them as he saw fit. This music is both old-fashioned and modern, realistic in one moment and distorted like a portrait by Picasso immediately thereafter. And finally, we get a true Italian! The Four Seasons is a set of four violin concertos, one for each season. Antonio Vivaldi created a work with irresistible melodies and a violin part that is not only virtuosic but also tells a story.